It is often difficult to find unique pastas that are vegan, which is why I was so pleasantly surprised to find that this wonderful company, Flour City Pasta based in Rochester, makes many delicious, unique vegan pastas. I picked up their delicious Bon Vivant Orzo made with wild mushrooms, saffron, spinach, and cayenne at the Brooklyn Flea and immediately set out to modify the recipe they recommended! The result was an orzo dish with delicate flavors that is sure to delight anyone. Cook the orzo al dente according to the directions, about 8-10 minutes. Meanwhile, in a saute pan on medium heat, toast the pine nuts by cooking them until browned, turning frequently. This will happen quickly so don't walk away from the pan. Set aside. Heat the olive oil in the same saute pan. Add shallots and saute until soft. Add mushrooms and cook until browned. You may need to add more oil here. 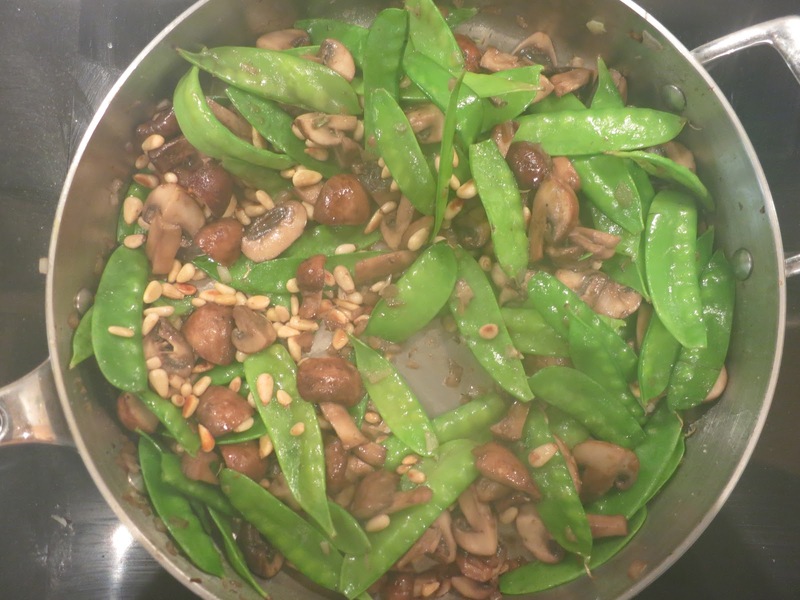 Add the snow peas and cook another couple of minutes. Then, add the toasted pine nuts. It was getting steamy in the kitchen! 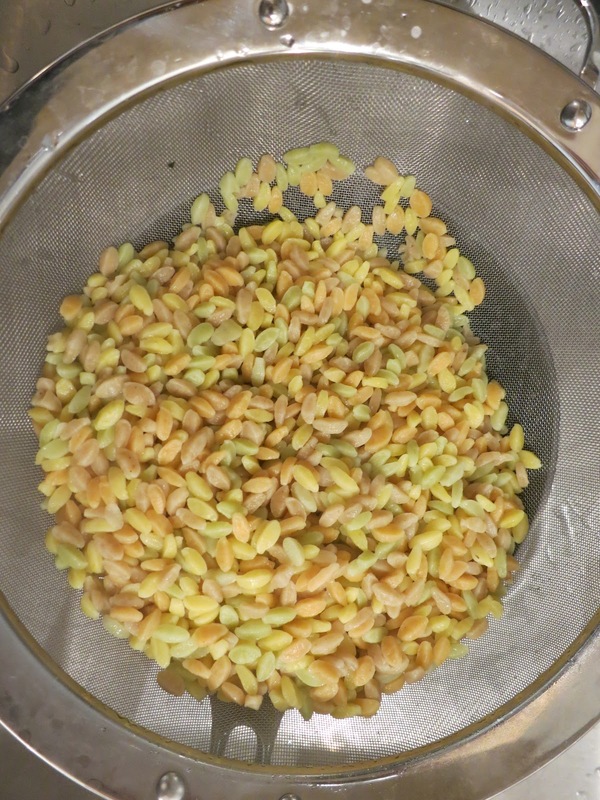 Add the cooked orzo. Add salt and pepper to taste. Mix a little of the parsley into the mixture while cooking. Reserve the rest for garnishing. Plate with fresh parsley on top and enjoy!